We often hear that some women take better care of their weave than their own hair, this is sad but true, I can attest to that because I have seen it firsthand. I am one of those women that want it all; clear skin, a killer body and long luxuriant hair! Exercising and eating healthy will help us achieve or maintain that wonderful body, a skin care regiment will get and keep that youthful glow and proper hair care practices will help us achieve the long healthy hair that we want. I am a firm believer of wearing weaves and wigs because you want to not because you have to. In order to gain the length that we desire there are certain steps that we need to take, things that needs to be done, products that we need; all without breaking the bank. Firstly, you need to look at your products, in my opinion; these are the basic products that you ABSOLUTELY NEED to start. You will need a sulphate free shampoo to gently cleanse your hair on a weekly basis. Sulphate free shampoos are much more gentle and moisturising because they do not contain any of the harsh surfactant or cleansers that regular shampoos have. It is very likely that you already own a shampoo with sulphates which can be used once per month to help avoid product build up. It is compulsory that you deep condition your hair every time you shampoo. Deep Conditioners help moisturize, nourish and strengthen the hair; they can be moisture base, protein base or have both. Hair needs a good balance of moisture and protein, to start, look for a conditioner that is moisturising with a touch of protein to help keep your hair soft yet strong. 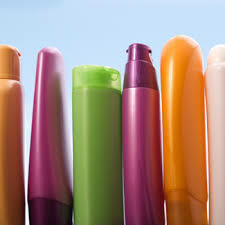 You will need to start moisturising your hair regularly with a water based moisturiser. Moisturising your hair in between washes is critical to help keep breakage at bay because dry hair breaks easily. Every time you moisturise your hair you will need to seal that moisture in. Moisturizing and sealing goes hand in hand, sealing your hair after moisturising will help keep your hair moisturized for longer. A wide tooth comb is needed for detangling your hair. Dump that rat tail or fine tooth comb if you want to retain length. Even figure detangling is a million times better than that fine tooth comb, your hair would thank you for it later. Using a silk or satin scarf, bonnet or pillow case helps to protect your hair. They prevent those cotton sheets and pillow cases from rubbing your hair of the much needed moisture, which in turns help prevents breakage. Are you new to starting a hair journey? If not, how long have you been on your journey? .........read more over at The COCO Magazine!